You are here: HomenextResortsnextClacton-on-SeanextMystery Diver! 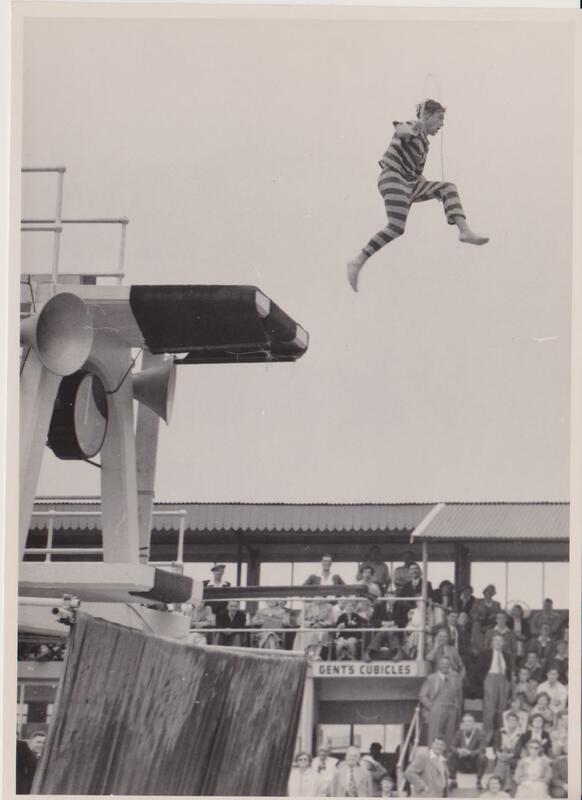 Can you help with identifying this mystery entertainer? We know the location where these photographs were taken, but we don’t know the identity of the mystery clown diver? 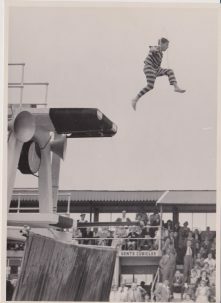 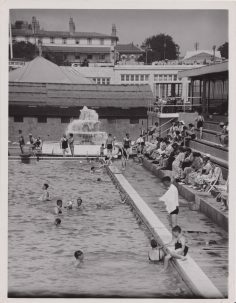 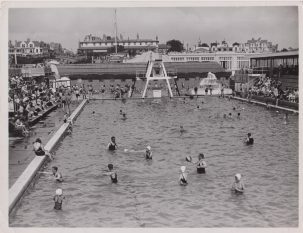 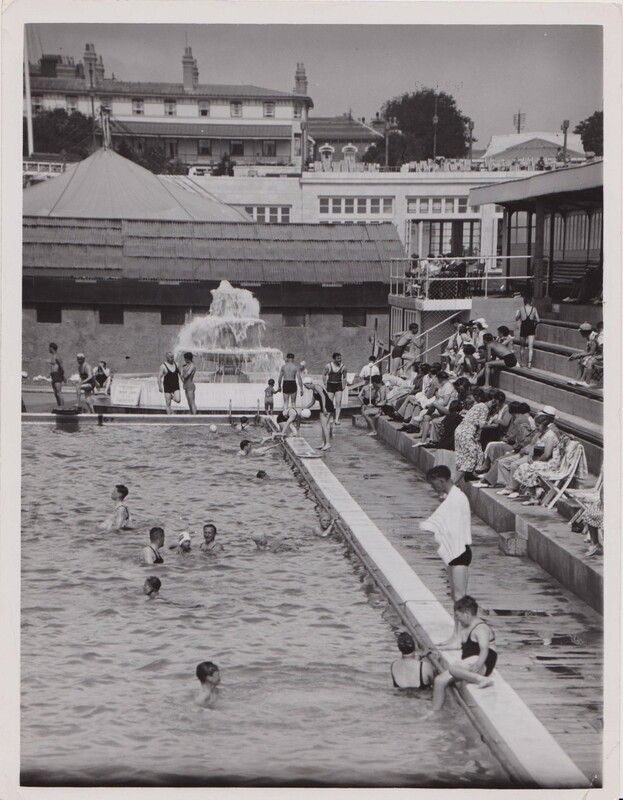 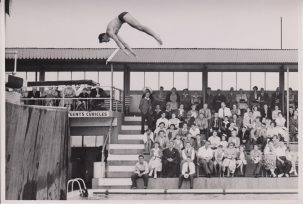 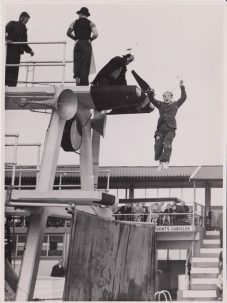 The location is the swimming pool on Clacton Pier, the photograph has no date or associated photographer’s name, or identity of the diver. 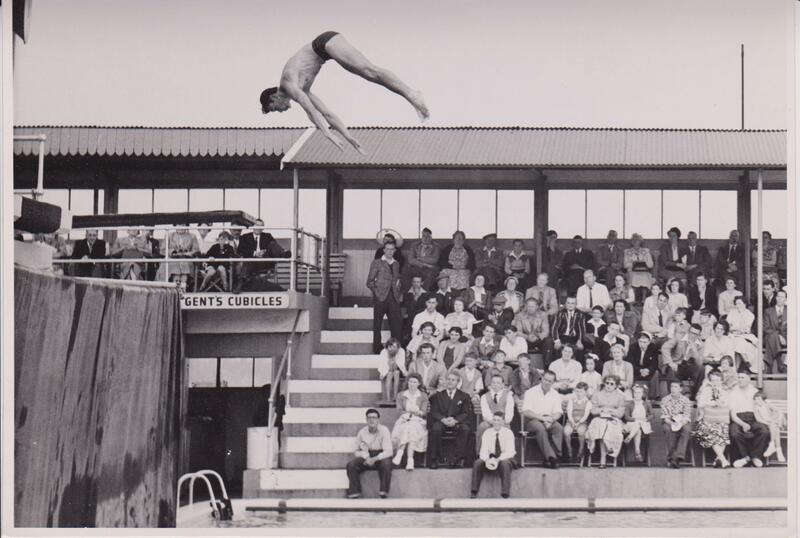 Who is the mystery diver and can you help us identify any more details?! 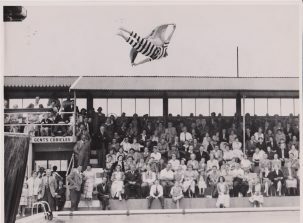 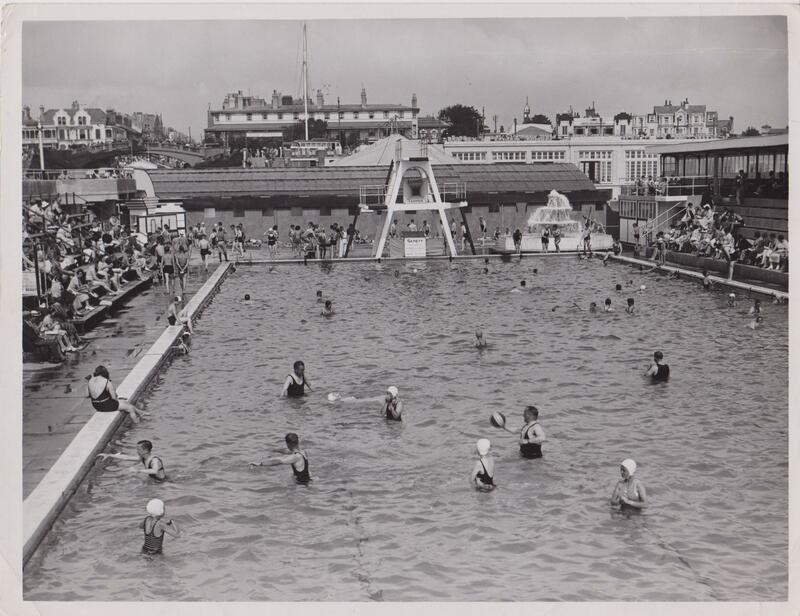 More photos celebrating Clacton’s seaside heritage can be enjoyed on our website at Resorting to the Coast website here: Clacton-on-Sea.